Trebi is now Sold Out. Be sure to use our New Home Search tool to search through available neighborhoods. The neighborhood is nestled among olive groves and rose gardens, with views of breathtaking terrain spanning every direction. Upon arrival, an immediate connection to Trevi’s architectural elegance is established through common green spaces that include community courtyards and handcrafted stone walls. 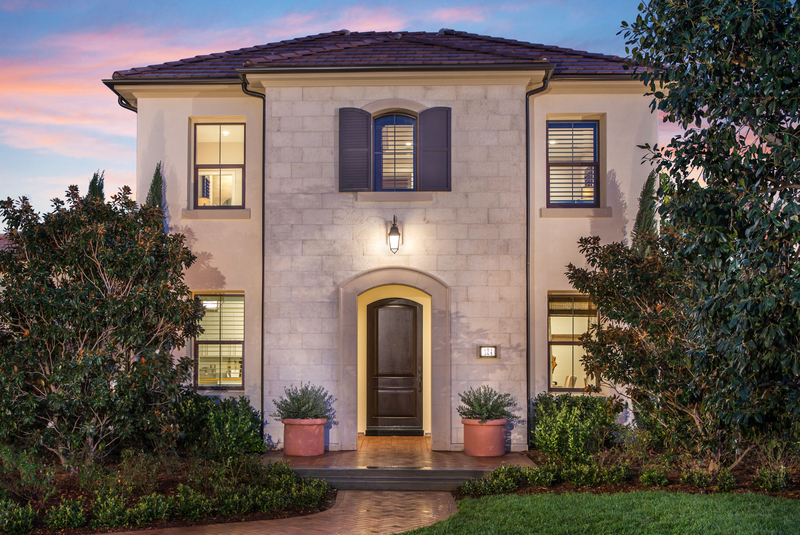 Trevi presents among the largest residences in Orchard Hills, with designs featuring up to 7 bedrooms and 7.5 bathrooms and up to approximately 7,030 square feet of new home luxury. Behind the gates of the Groves, Trevi represents the epitome of a privileged lifestyle for discerning families who value hilltop seclusion and easy access to modern day conveniences.